Size of this preview: 800 × 444 pixels. Other resolutions: 320 × 178 pixels | 640 × 355 pixels | 1,024 × 568 pixels | 1,280 × 710 pixels | 2,978 × 1,652 pixels. 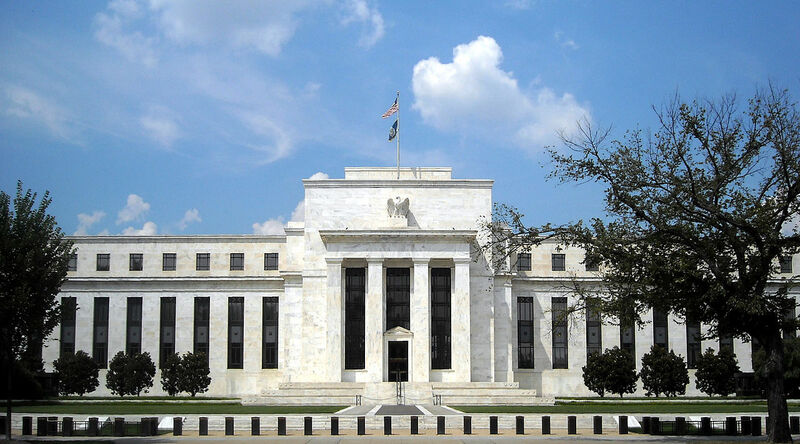 English: The Marriner S. Eccles Federal Reserve Board Building (commonly known as the Eccles Building or Federal Reserve Building) located at 20th Street & Constitution Avenue, NW in the Foggy Bottom neighborhood of Washington, D.C. Designed by architect Paul Philippe Cret in 1935, construction of the Art Deco building was completed in 1937. Its 2009 property value is $109,029,200.